1 – 2 – TREE, PLANT! 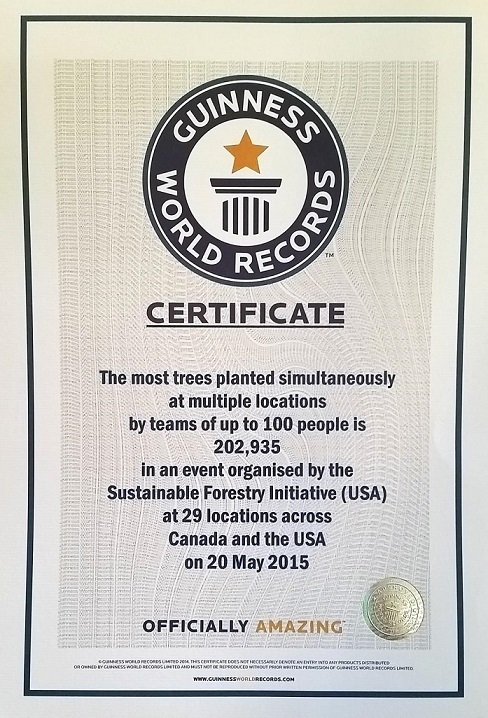 New world record for most trees planted in an hour. They did it! 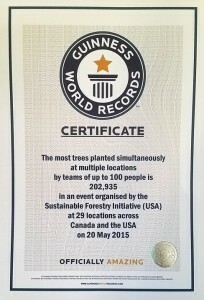 Over 200,000 trees planted in one hour topped the previous world record of 40,885 set in India in April 2012. 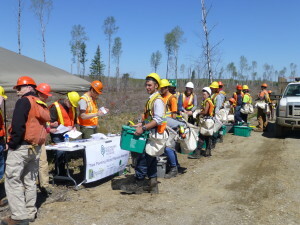 Organized by the Sustainable Forestry Initiative® (SFI®), this North American tree planting blitz is part of the independent, non-profit organization’s work to promote responsible forest management and sustainable communities. 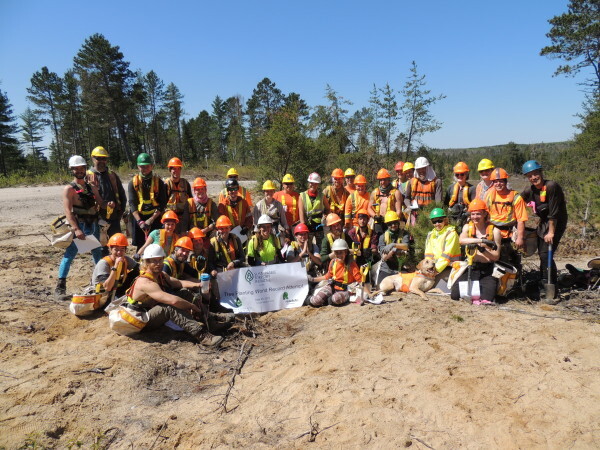 On May 20, at 1 PM Eastern, over 1,100 planters – poised with shovels in hand – gathered at 28 locations across the U.S. and Canada to set a new world record for the most trees planted simultaneously within a one-hour period by teams of 25 to 100 people. We were able to organize three separate Resolute teams in Northwestern Ontario with our reforestation contractors and tree planters. With 118 participants, we planted 38,976 trees in the allotted one hour! And we certainly couldn’t have done it without the help of a host of other partners and community volunteers acting as stewards and taking care of everything from witnessing to videotaping the event. Special thanks goes to our reforestation contractors who formed the three planting teams, Haveman Brothers Forestry Services, Outland Camps and Brinkman and Associates Reforestation. 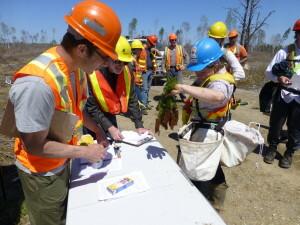 Despite snow on the ground just a few days before the event, our plans to plant in the Dog River-Matawin, Black Spruce and Crossroute forests went off without a hitch. 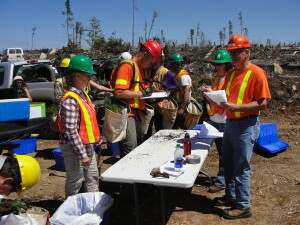 The forests we manage in Ontario have been certified to the SFI sustainable forest management standard for over a decade, and we were proud to have the opportunity to participate in this world record attempt. The SFI standard is about sustainable management of working forests and is one of the many ways that Resolute shows its commitment to producing quality products that meet the criteria of today’s environmentally conscious stakeholders. Every year, Resolute and our contractors plant over 10 million trees in Ontario to achieve the 100% regeneration that is required by Canadian law in the provinces where we operate. In fact, two years ago we celebrated the planting of our one billionth tree in Ontario with ceremonies at several of our operations in the region. 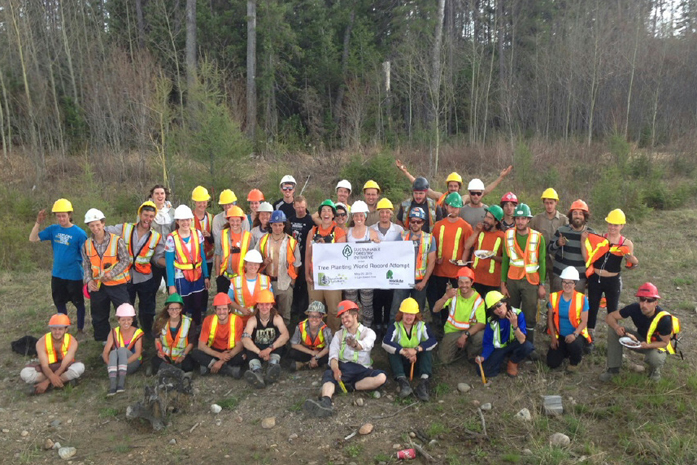 This world record attempt was an opportunity to acknowledge the great work treeplanters do every spring day towards ensuring the future of our forests. While the event was about having fun and celebrating sustainable forestry through partnerships, it also demonstrated our dedication to assuring customers that the wood fiber we use comes from responsibly managed forests. Congratulations to all the participants and many thanks to SFI for organizing this tree-planting initiative. 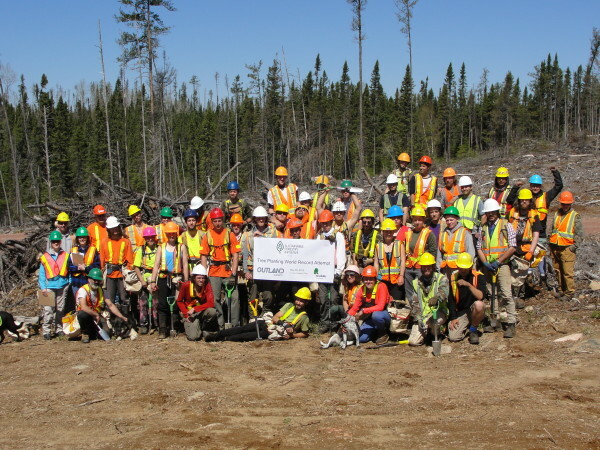 Group photos from top down: The Haveman Brothers Forestry Services team at Dog River-Matawin forest, the Brinkman and Associates Reforestation team at the Crossroute forest and the Outland Camps team at the Black Spruce forest.